You'd be amazed just what is involved materials-wise when it comes to decorating. However not only is there a tremendous variety of materials available, but there is also a very broad range in the quality. It pays to have some insight into the professional painting business to know where to spend your money wisely. As an example, there are builders merchants where members of the public are perfectly welcome to buy items. Now there are a couple of things to mention here which you are unlikely to be aware of. Firstly, the price shown for items in a builders’ merchant is seldom the price you need pay. Even if you don’t have an account, if you make it clear you are doing up a property and will be buying plenty of stuff, they will either open up a cash account which will give you an instant discount, or just offer you a 'trade' price. Secondly, the paint you get at a builders’ merchant, particularly if it is ICI Trade paint, is appreciably better quality than ICI paint you may see on special offer at your local DIY superstore. At first the price may seem higher, but as an example, Dulux trade vinyl matt emulsion paint is so thick you have to water it down 25% before you can use it, and the paint covers very well and evenly. 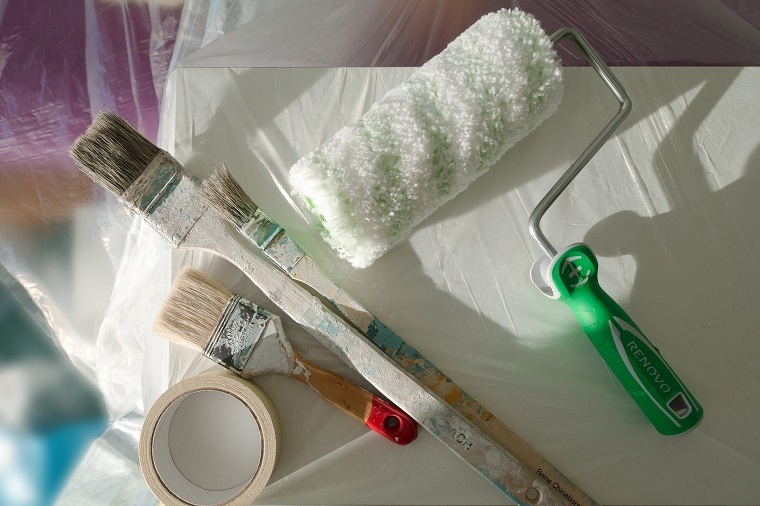 With certain special offer paints in DIY stores, it has already been watered down and at times you end up having to use three coats when two would normally do.